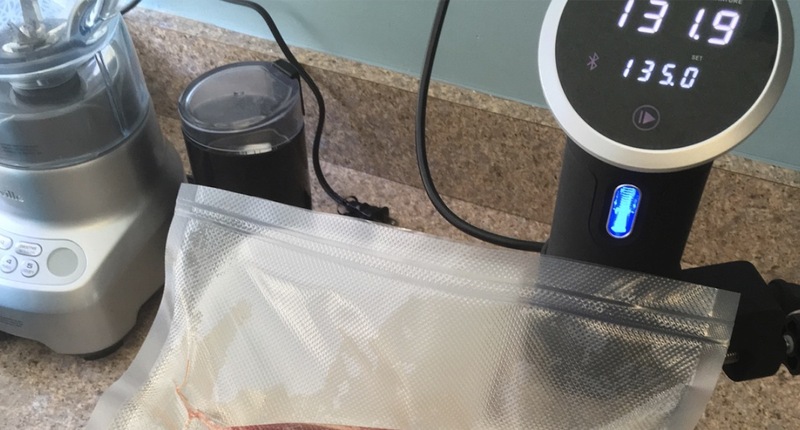 Turn cheap cuts into magical meals with your Anova Sous Vide Precision Cooker. This wicked-delicious recipe from #anovafoodnerd Vincent Meli turns traditionally-tough chuck roast into a delicious meal resembling the most expensive steak! 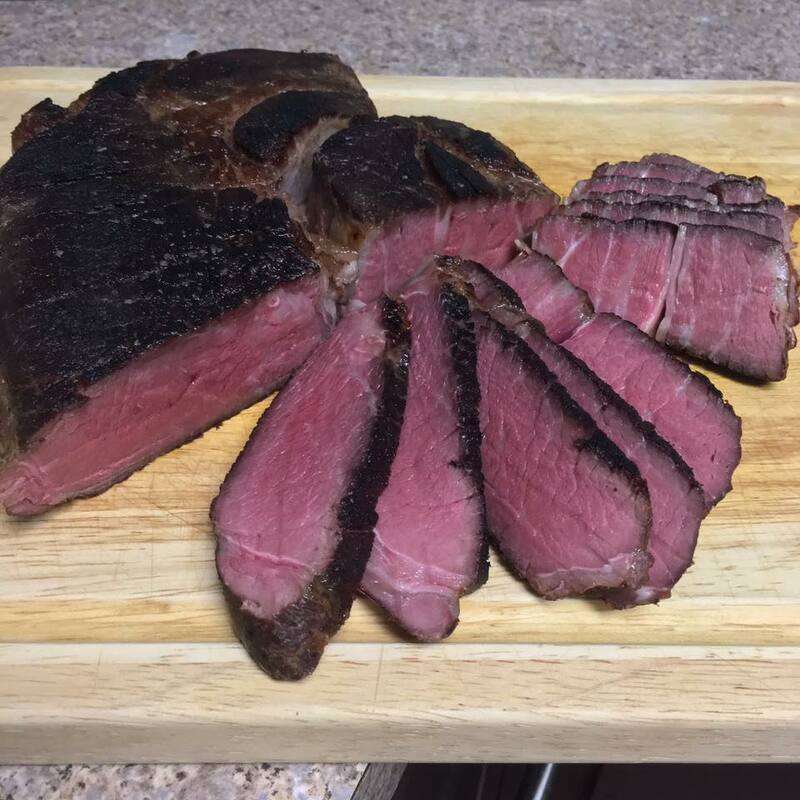 1 boneless chuck roast, 3-4 pounds. 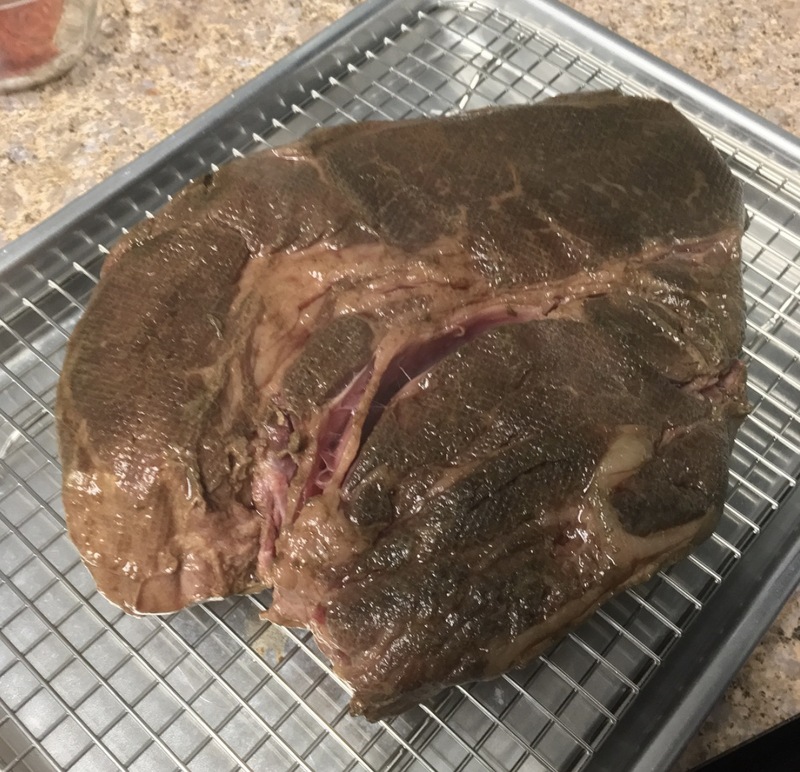 Optional step: The night before cooking, season roast with seasoning salt and rest in the refrigerator overnight, uncovered. 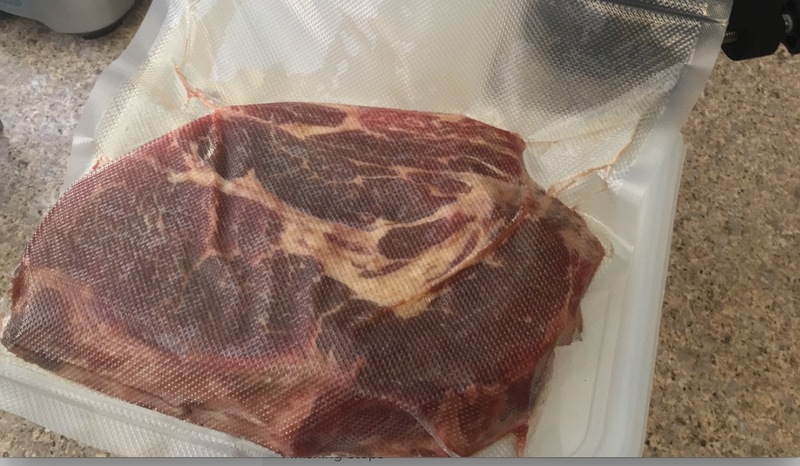 Place roast in a resealable ziplock bag or vacuum bag. 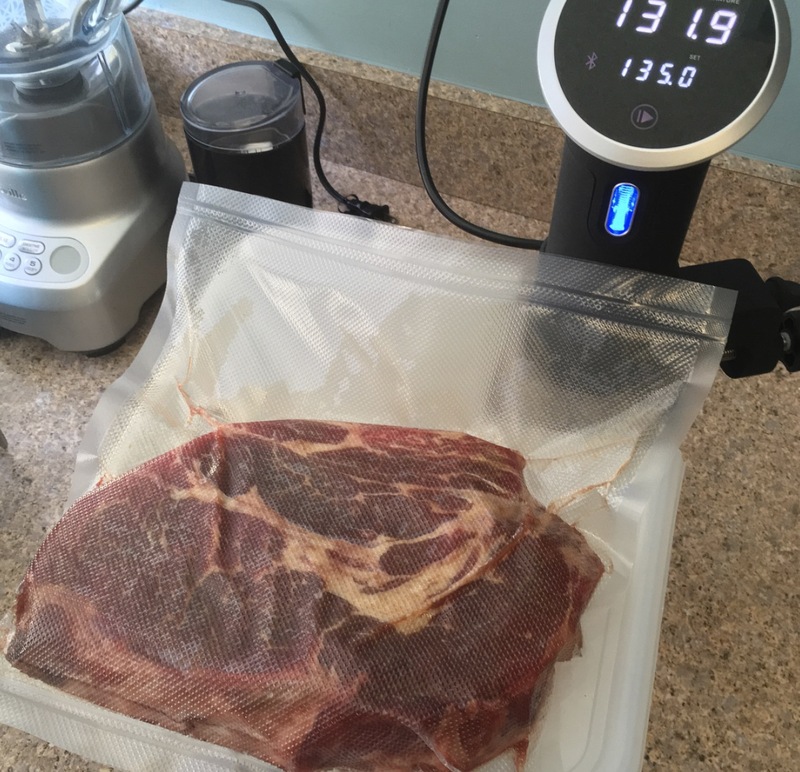 Place in water bath and sous vide for 29 hours. NOTE: Anywhere from 24-36 hours will produce a wonderful result! Preheat heavy-bottomed pan or griddle over high heat. 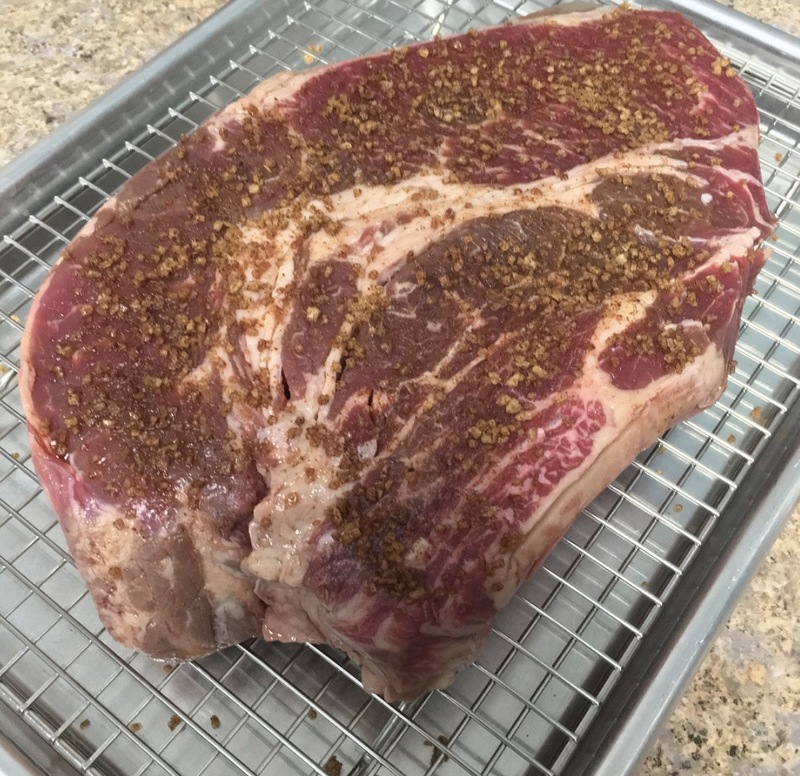 Remove roast from bag, dry the surface thoroughly, and let it rest on the counter or refrigerator for 15-20 minutes to chill meat a bit before searing. 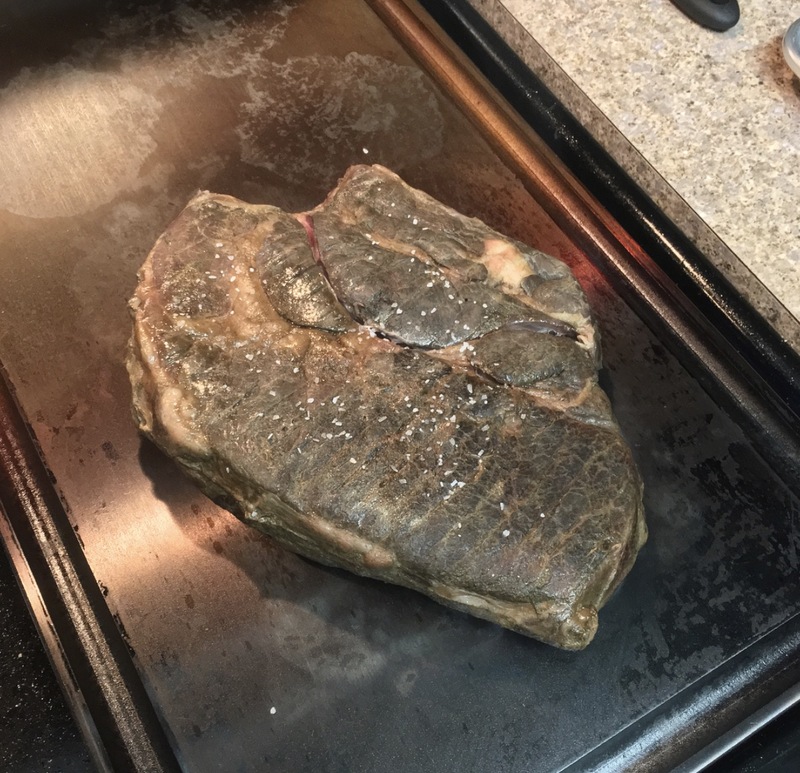 Sear roast for one minuter per side. Slice up and enjoy juicy, tender, and perfectly-cooked chuck roast!